Draft: 2010, Atlanta Braves, 11th rd. Graduated from Bonanza (Nev.) High School where he was an All-State outfielder his senior year and teammate of Chicago Cubs' All-Star Kris Bryant...Attended the College of Southern Nevada where he was teammates with All-Star outfielder Bryce Harper in 2010, helping lead the team to a 52-16 record and a finalist in the JUCO World Series...Has a brother, Colby, who was drafted by the Atlanta Braves (8th round, 2007) and Philadelphia Phillies (6th round, 2008) and pitched in 151 career minor league games from 2010-13, as well as two stints in the Arizona Fall League...Teamed up with several Yankees in an MLBPA Players Trust program to promote baseball to children in May 2015...As part of the event, helped coach children from the New York City Autism Charter School at Harlem's R.B.I. FIeld of Dreams...Threw out a ceremonial first pitch prior to the American League Wild Card game in 2017 in memory of the victims of the October 1, 2017 mass shooting at a music festival in Las Vegas...Resides in Las Vegas, Nevada. Acquired on 7/28 in a trade from the Yankees along with RHP Giovanny Gallegos in exchange for Memphis (AAA) first baseman Luke Voit and International Cap space...Appeared in a career-high 60 games in 2018; 40 with New York (AL) and 20 with St. Louis...Made his Cardinals debut vs. COL (7/31) with a scoreless inning, striking out two, but allowed one inherited runner to score...Was 2-2 with a 4.26 ERA (38.0 IP) and 46 strikeouts in 40 appearances with the Yankees before arriving in St. Louis...Had as many Holds (3) in first 9 appearances with the Cardinals as he had in his first 40 appearances w/ NYY (3)...Recorded his first win as a member of the Cardinals vs. COL (8/2) pitching a scoreless inning of relief in a comeback walk-off win...Suffered his first loss as a member of the Cardinals at WSH (9/3); tossing 26 pitches (1.0 IP), his most with STL...Earned his lone save of the season with the Yankees vs. NYM (7/21), throwing a scoreless 9th in relief of Aroldis Chapman, stranding two of three inherited runners...Pitched on consecutive days 11 times, but only twice as a member of the Cardinals...Made seven appearances with the Cardinals, and 14 total on the season of one out or less...57 of his 62 strikeout victims in 2018 went down swinging, as have 127 of 153 (83.0%) since 2016... Ranked 5th among left-handed relief pitchers in swing-andmiss pct. (32.6%) trailing only Josh Hader (MIL), Aroldis Chapman (NYY), Tanner Scott (BAL) and Jace Fry (CWS)...Threw his longest outing as a Cardinal on 8/14 vs. WSH with 1.2 scoreless IP...Surrendered a career-high 11 home runs, T-2nd most among MLB left-handed relief pitchers in 2018. Went 4-1 with a 3.77 ERA (45.1IP, 19ER) in 44 relief appearances over three stints with the Yankees (4/2-10, 5/2-7/19, 7/30-10/1)…opponents batted .205 (35-for-171, 8HR); LH .164 (10-for-61, 1HR), RH .227 (25-for-110, 7HR)…allowed 6-of-28 inherited runners to score (21.4%)…retired 33-of-44 ﬁrst batters faced (75.0%)... Of his 58K, 50 came on swinging third strikes (86.2%)... Began the season with a nine-game, 11.1-inning scoreless streak from 4/2-5/20 (4H, 6BB/2IBB, 12K)…had the streak snapped in 5/23 loss vs. Kansas City, allowing 1ER in 0.2IP (1H, 1BB, 1HR)…allowed just 1ER in 15.2IP over his ﬁrst 13 appearances of the season (4/2-6/6)... Retired 9-of-10 batters faced over 3.0 scoreless innings to earn his fourth win on 9/20 vs. Minnesota... Was on the Yankees' AL Wild Card Game roster, but did not pitch…threw out the ceremonial ﬁrst pitch prior to the game in memory of the victims of the 10/1 mass shooting at a music festival in his hometown of Las Vegas... In nine relief appearances with Triple-A Scranton/Wilkes-Barre, went 1-0 with one save and a 1.59 ERA (11.1IP, 2ER) and 19K. Made his second career Opening Day roster (also 2015) and went 2-1 with one save and a 5.18 ERA (33.0IP, 19ER) in 37 relief appearances over four stints with the Yankees (4/4-6/19, 7/5-26, 8/6-17 and 8/30-10/2)…opponents batted .232 (29-for-125, 8HR); LH .275 (11-for-40, 4HR), RH .212 (18-for-85, 4HR)…retired 22-of-37 first batters faced (59.5%)…allowed 2-of-18 inherited runners to score (11.1%). Was placed on the 15-day D.L. from 5/26-6/19 with a left shoulder AC joint sprain…was returned from rehab, reinstated from the D.L. and optioned to Triple-A Scranton/Wilkes-Barre on 6/19. Earned his first career save in 8/30 win at Kansas City, entering the game with the bases loaded and one out in the 10th and retired both batters faced (0.2IP, 1K)…became the first Yankees pitcher to record the final two outs of an extra-inning game with the potential winning run in scoring position since 6/23/10 at Arizona, when Mariano Rivera escaped a bases-loaded, no-out jam in the 10th inning of a 6-5 win. Did not record a decision in 13 games (one start) with Scranton/WB, posting a 1.62 ERA (16.2IP, 3ER) and 20K. Did not allow a run in 10 spring training relief appearances (10.0IP, 1H, 1BB, 8K)…led the team in ERA (min. 10.0IP)…retired 30-of-33BF overall, including 11 straight prior to a base runner reaching on a fielding error on 3/13 vs. Philadelphia…retired his next 16 straight batters before allowing a single and a walk on 4/1 at Miami…did not allow a hit or walk over his first nine outings (9.0IP). Went 6-2 with a 3.09 ERA (58.1IP, 20ER) in 59 relief appearances over two stints with the Yankees (4/6-11 and 4/21-10/4)...of his 64K, 47 came on swinging third strikes, including 20 straight strikeouts prior to the Astros' Hank Conger's called strike three on 6/26...Opponents batted .228 (49-for-215, 10HR); LH .265 (22-for-83, 2HR), RH .205 (27-for-132, 8HR)...retired 43-of-59 first batters faced (72.9%)...allowed just 15-of-43 inherited runners to score (34.9%)...Allowed 10HR (7 solo, 3 two-runs), accounting for 13 of his 21R allowed in 2015...each of his first 7HR allowed were solo HRs and his final 3HR allowed were two-run HRs...Went 3-0 with a 2.59 ERA (24.1IP, 7ER) and 33K in 26 relief appearances on the road...was 3-2 with a 3.44 ERA (34.0IP, 13ER) with 31K in 33 games at Yankee Stadium...Made his first career Opening Day roster...made his Yankees debut in 4/6 Opening Day loss vs. Toronto, allowing 1ER in 1.1IP (1H, 1HR)...Tossed 3.1 scoreless innings (3H, 4K) in 4/10 loss vs. Boston...marked the longest outing of his career (previous high was 1.2IP on 7/25/14 vs. San Diego w/ Atlanta)...also threw a career-high 56 pitches (previous high was 25 pitches on 7/23/14 vs. Miami w/ Atlanta)...Earned his first Major League win on 4/26 vs. the Mets (0.2IP, 1BB, 1HP)...Struck out all 4BF on 5/30 at Oakland to earn his second win (1.1IP, 4K)...marked the eighth time in Yankees history (second in 2015) that a pitcher struck out every batter faced while facing at least four batters...Had a five-game winning streak from 5/30-7/3, tied for the longest streak among Major League rookies in 2015... Did not allow a run in a career-long 15 consecutive appearances from 5/24-7/1 (16.1IP, 4H, 5BB, 17K)...Recorded his sixth win on 7/3 vs. Tampa Bay, despite allowing 2H and 1ER in 0.2IP (2BB) to snap a streak of 16.1 scoreless IP...according to Elias, his single allowed to Kevin Kiermaier snapped an 18AB hitless streak overall, a 19AB hitless streak with runners on base, and a 17AB hitless streak with RISP...Allowed a run in back-to-back appearances (7/3 vs. Tampa Bay and 7/7 vs. Oakland) for the first time since 4/28-29 vs. Tampa Bay...allowed a game-tying solo HR to Billy Butler in 0.2IP in 7/7 loss vs. Oakland (1H, 1ER, 1K), marking his first home run allowed since 5/22 vs. Texas (Prince Fielder)...Over his final nine appearances (9/8-10/3), posted a 16.20 ERA (5.0IP, 9ER) with 16H, 4HR and 6BB (4K)...over his first 50 games of the season (4/6-9/5), had a 1.86 ERA (53.1IP, 11ER) with 60K (33H, 6HR, 27BB)...Was optioned to Triple-A Scranton/Wilkes-Barre on 4/11 and made one relief appearance with the RailRiders on 4/15 vs. Rochester (2.1IP, 4H, 1BB). Made his Major League debut with the Braves, posting a 0.73 ERA (12.1IP, 1ER) and 15K in 15 relief appearances without recording a decision over two stints with the club (7/19-31 and 9/1-28)…opponents batted .217 (10-for-46, 0HR); LH .273 (6-for-22), RH .167 (4-for-24)…retired 11-of-15 ﬁrst batters faced (73.3%)…did not allowany of his ﬁve inherited runners to score... Was signed to a Major League contract and selected to the 25-man roster from Double-A Mississippi on7/19…made his Major League debut that night vs. Philadelphia, tossing 0.2 scoreless innings (2H, 1K)…recorded his ﬁrst career strikeout in the seventh inning (Ryan Howard)... Began the season with Mississippi, going 3-2 with seven saves, a 2.48 ERA (54.1IP, 15ER) and 76K in 36 reliefappearances before joining Atlanta... Was optioned to Triple-A Gwinnett on 7/31 and went 2-1 with two saves, a 3.72 ERA (9.2IP, 4ER) and 11K in 10 relief outings. Began the season with Double-A Mississippi, posting a 3-1 record, a 4.43 ERA (42.2IP, 21ER) and 28K in 36 relief appearances... Was transferred to Single-A Lynchburg on 7/20, going 0-1 with a 2.75 ERA (19.2IP, 6ER). Began the season with Single-A Lynchburg, going 4-4 with a 2.15 ERA (46.0IP, 11ER) in 32 relief appearances…marked the third-lowest ERA among Lynchburg pitchers (min. 40.0IP)…did not allow an earned run in June (11.1IP, 14K)... Was promoted to Double-A Mississippi on 7/16, going 2-1 with a 3.93 ERA (18.1IP, 8ER) in 11 games out of the bullpen. Spent the entire season with Single-A Rome, going 5-6 with four saves, a 3.86 ERA (70.0IP, 30ER) and 68K in34 relief outings…was named Rome "Pitcher of the Year"…ranked second on the team in appearances andtied for third in wins. Made his professional debut with Rookie-level Danville, going 2-0 with one save, a 2.25 ERA (16.0IP, 4ER) and20K in eight relief appearances. March 27, 2019 St. Louis Cardinals sent LHP Chasen Shreve outright to Memphis Redbirds. 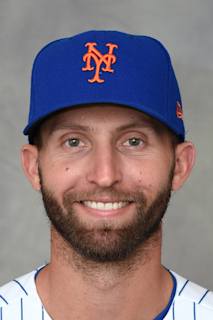 March 22, 2019 St. Louis Cardinals designated LHP Chasen Shreve for assignment. July 30, 2018 St. Louis Cardinals activated LHP Chasen Shreve. October 22, 2017 New York Yankees activated LHP Chasen Shreve. October 5, 2017 New York Yankees reassigned LHP Chasen Shreve to the minor leagues. July 30, 2017 New York Yankees recalled LHP Chasen Shreve from Scranton/Wilkes-Barre RailRiders. July 30, 2017 New York Yankees reassigned LHP Chasen Shreve to the minor leagues. July 19, 2017 New York Yankees optioned LHP Chasen Shreve to Scranton/Wilkes-Barre RailRiders. May 2, 2017 New York Yankees recalled Chasen Shreve from Scranton/Wilkes-Barre RailRiders. April 11, 2017 New York Yankees optioned LHP Chasen Shreve to Scranton/Wilkes-Barre RailRiders. August 30, 2016 New York Yankees recalled Chasen Shreve from Scranton/Wilkes-Barre RailRiders. August 17, 2016 New York Yankees optioned LHP Chasen Shreve to Scranton/Wilkes-Barre RailRiders. August 6, 2016 New York Yankees recalled Chasen Shreve from Scranton/Wilkes-Barre RailRiders. July 26, 2016 New York Yankees optioned LHP Chasen Shreve to Scranton/Wilkes-Barre RailRiders. July 5, 2016 New York Yankees recalled Chasen Shreve from Scranton/Wilkes-Barre RailRiders. June 19, 2016 New York Yankees optioned LHP Chasen Shreve to Scranton/Wilkes-Barre RailRiders. June 19, 2016 New York Yankees activated LHP Chasen Shreve from the 15-day disabled list. June 12, 2016 New York Yankees sent LHP Chasen Shreve on a rehab assignment to Scranton/Wilkes-Barre RailRiders. May 26, 2016 Chasen Shreve roster status changed by New York Yankees. October 7, 2015 New York Yankees activated LHP Chasen Shreve. October 6, 2015 New York Yankees reassigned LHP Chasen Shreve to the minor leagues. April 21, 2015 New York Yankees recalled LHP Chasen Shreve from Scranton/Wilkes-Barre RailRiders. April 11, 2015 New York Yankees optioned LHP Chasen Shreve to Scranton/Wilkes-Barre RailRiders. January 1, 2015 Atlanta Braves traded LHP Chasen Shreve and RHP David Carpenter to New York Yankees for LHP Manny Banuelos. September 1, 2014 Atlanta Braves recalled LHP Chasen Shreve from Gwinnett Braves. August 1, 2014 Atlanta Braves optioned LHP Chasen Shreve to Gwinnett Braves. July 19, 2014 Atlanta Braves selected the contract of Chasen Shreve from Mississippi Braves. March 31, 2014 LHP Chasen Shreve assigned to Mississippi Braves from Lynchburg Hillcats. March 27, 2014 LHP Chasen Shreve assigned to Atlanta Braves. July 20, 2013 LHP Chasen Shreve assigned to Lynchburg Hillcats from Mississippi Braves. March 29, 2013 Chasen Shreve assigned to Mississippi Braves from Lynchburg Hillcats. March 27, 2013 LHP Chasen Shreve assigned to Atlanta Braves. August 27, 2012 Chasen Shreve assigned to Lynchburg Hillcats from Mississippi Braves. July 16, 2012 Chasen Shreve assigned to Mississippi Braves from Lynchburg Hillcats. April 3, 2012 Chasen Shreve assigned to Lynchburg Hillcats from Rome Braves. April 3, 2011 Chasen Shreve assigned to Rome Braves from Danville Braves. June 14, 2010 Chasen Shreve assigned to Danville Braves from Atlanta Braves. June 13, 2010 Atlanta Braves signed LHP Chasen Shreve.